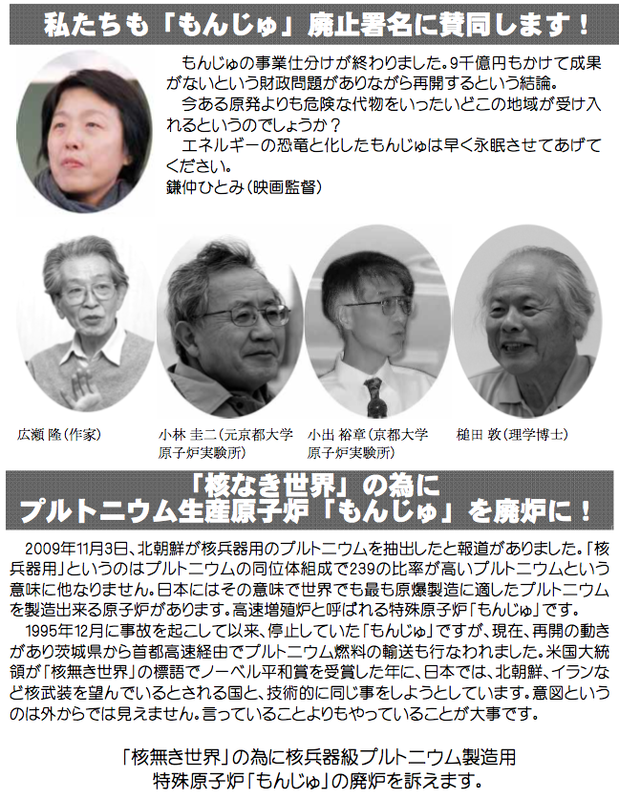 Good new article on Japan Subculture website that highlights the riduculus relationship between Power plants and safety watchdog groups. A slap on the wrist style of management… Full article follow this link. Professor Koide says get out. Rankin Taxi and Ainu Dub Band! New Anti-Nuclear song out on YouTube now! Love this track! A long time Japanese reggae star, “Rankin Taxi” has teamed up with the seminal Ainu band from right here in Hokkaido, “Ainu Dub Band”. An instant classic that will probably not be getting much air time on the major radio stations. Watch it here with english or Japanese subtitles. Then post/twitter/facebook etc.,! Spread the word! Concerning the melt down in Reactor 1. In the first 1 minute he says that TEPCO has either known about the meltdown the whole time, or they are in such a state of disarray that they couldn’t figure it out until now two month after the fact. According to Koide the latter is more worrisome than the first…. 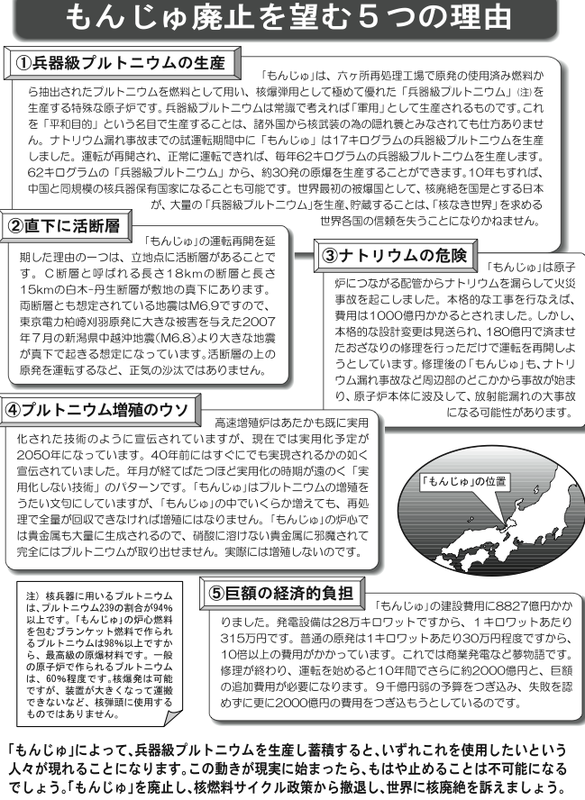 This is some info in Japanese about the Nuclear Power Plant called Monju in I think its, Ishikawa prefecture. Still in the building stages, from what I heard they had an accident there on March the 6th, just before the Earthquake. The news about that got lost due to the 9.0 Check it out if you can read. Click the link below for the full PDF version. Or click this link for even more.